Aced your exams? Great! Come have a beer and join the Urios Pub Quiz! Failed your exams? Great..! Come have a beer and join the Urios Pub Quiz! The Activities Committee has organized a fun pub quiz! So bring all your friends and come and drink some beers and see who is the best! Do you have all the answers right and do you win the quiz? 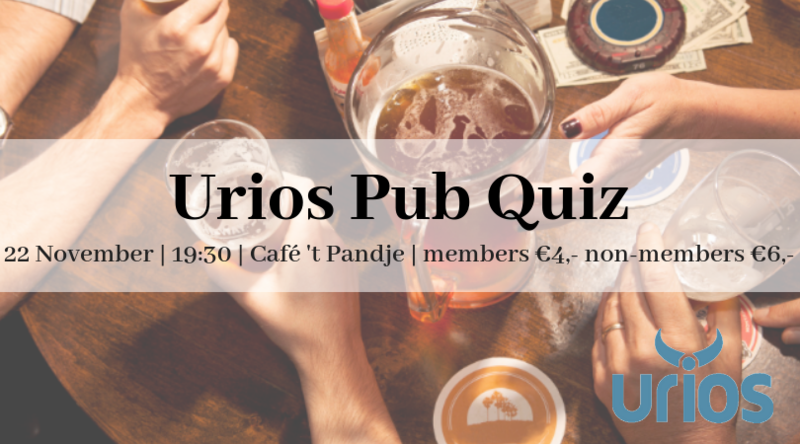 Find out 22 November at the Urios Pub Quiz! I am giving permission that Urios will store my personal data and this data will be used only for purposes of the study association.